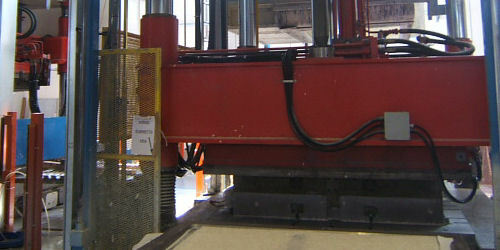 Electronically controlled hydraulic presses from 200 to 750 tons are used, which allow for controlled pressure throughout the pressing phase. Molding is done with various technologies: compression RTM, VARTM, VARI, WET MOLDING, compression molding of SMC and BMC. It is realized by high power presses. OUR TECHNICAL STAFF SHOULD LEAD TO OPERATING THE WORK TO THE HANDS REALIZATION. Trucker srl uses this little-known but very used method by bikers, tuning enthusiasts, modeling and so on. Consists of reproducing prototype manufactured articles such as faithfully reproducing a mudguard of an incident, a hull. Trucker srl manufactures prototypes with a mold that will have the ability to spin countless pieces faithful to the prototype with a variety of weight, strength, and cost characteristics, depending on the type of work we want to achieve, for example by combining epoxy resins or polyester fibers such as carbon , Kevlar or glass fibers, they get composite crafts of extreme strength and lightness that are faithful to the prototype used. 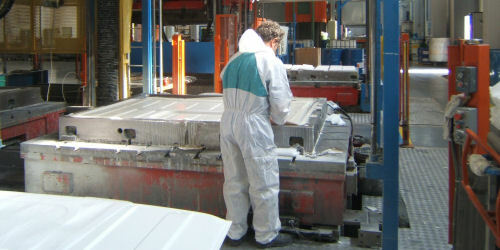 Trucker RTM is a production system for composite material pieces (eg mats / glass mats and polyester or epoxy resins) that consists of transfer, from which the acronym RTM - Resin Transfer Molding, In a vacuum molded closed mold, of a catalyzed resin for the impregnation of specially prepared fabrics. The main purpose is to build pieces (using systems with RTM machines) with both smooth and possibly gelcoated surfaces (gelcoat spraying machines) with respect to the environment. Vacuum molding, the resin is aspirated inside the mold due to vacuum and not pushed by the pressure. What is vinylester resin molding?